Freeview TV - Very dog friendly - no extra charge for dogs - free dog treats Children welcome from any age. Tower Bank Arms sometimes limits bookings to 3 or more days. Superior double and en suite shower. TV, tea & coffee making facilities and Wi-Fi. Rates based on two people, additional adults charged at £25.00 per person per night including breakfast. Children aged 12 and under £15.00 per child per night, inclusive of breakfast. (When let for four, only suitable for children as guests 3 and 4) If room is required for more than 2 this must be advised on booking. Methera sometimes limits bookings to 3 or more days. Twin Bedded room with 2 single beds and shower en suite facilities. TV, tea & coffee making facilities and Wi-Fi. Yan sometimes limits bookings to 3 or more days. Take the car ferry from Bowness-on-Windermere and follow signs on A591 to Hawkshead. 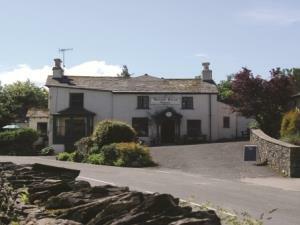 Or head for Newby Bridge on A590 and follow signs for Hawkshead and Sawrey. The nearest train station is Windermere.